Kayaking is one of the most exciting water sports out there, but like any high speed activity, some protection is required. You don’t have to pay a fortune for a good quality kayak helmet if you’re heading out onto the water, but there are some things to consider before making a purchase. Comfort is perhaps the most essential factor, as without a comfortable fit it can be hard to enjoy the activity at all. As such, make sure the helmet you buy is the perfect fit for your head with the best retention. The best-rated kayak helmets are sturdy! You’re bound to experience some hits and scratches when kayaking. They should also be able to withstand the test of time and last for at least a few years before you consider replacing them. Lastly, be sure the helmet you purchase has a good drainage system to enable proper outflow of water. Ventilation is equally essential seeing it adds to the helmet’s comfort. So, we have our criteria – which helmets did we think did the best job of fulfilling them? 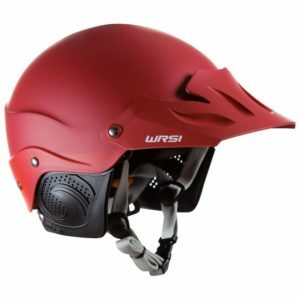 The WRSI Trident is among the best kayak helmets for 2019 primarily due to the materials used in its manufacturing and its features. Rugged carbon ensure the exterior remains strong while a foam liner and polyurethane sub-shell ensures all impacts are dispersed evenly. 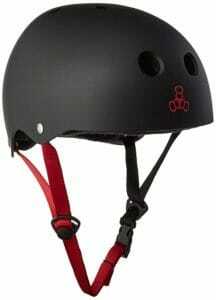 This helmet comes with an adjustable attachment system making it a better fit across a wider range of head sizes. helps guarantee its longevity as well as strength. A thin ABS outer shell makes it easy to cushion any impact on your head while proper ventilation ensures safety and comfort. Some of our writers reckon the Sweet Protection Wanderer is the best kayak helmet currently on the market at this price point. This helmet is made from carbon fiber, a sturdy material that not only protects your head but is light and comfortable to wear during kayaking. 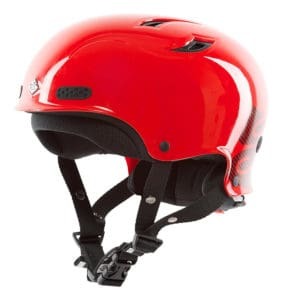 An ABS outer shell adds to the helmet’s durability while Occigrip fit system from Sweet Protection ensure the helmet stays in position when in use. 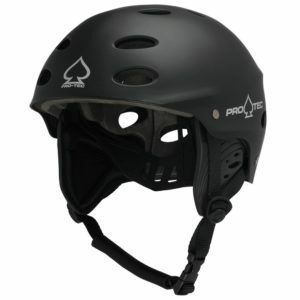 Pro-Tec’s Ace water helmet is the epitome of safety seeing it has one of the best shock absorbers of all the items on our list of top ten kayak helmets. Features such as ear-guards help prevent ear drum damage using state-of-the-art padding and customized water channels. This helmet also has 15 vents which enhance ventilation and headlock feature to ensure they stay in place. 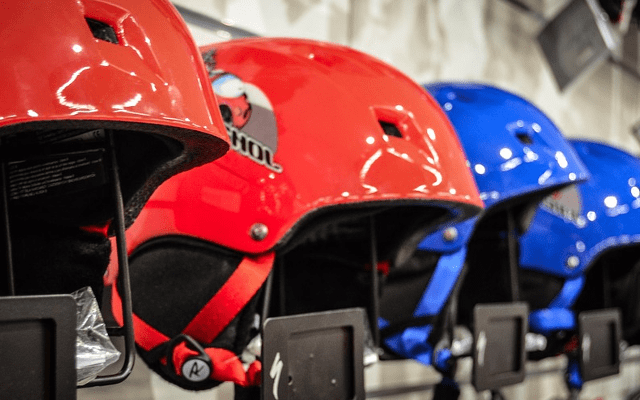 Sweet Protection’s range really does have some of the best kayak helmets for 2019 and the rocker fullface helmet is yet another addition to our top ten list. 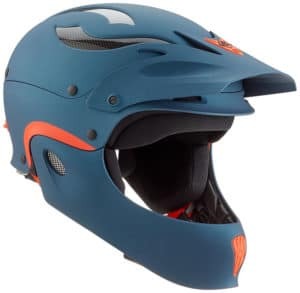 This helmet is regarded the best for whitewater kayaking thanks to features such as thermoplastic laminated carbon shell technology, which make it sturdy. It also has a jaw guard for face and mouth protection as well as high impact and lightweight EPP foam for comfort. The Triple eight water halo is among the most comfortable helmets on this list. It comes with a custom water liner from the company to increase comfort as well as three layers of foam covered in smooth fabric. It also has a removable sweat saver as well as high-density ABS shell for added safety. Runs small, so consider sizing up. 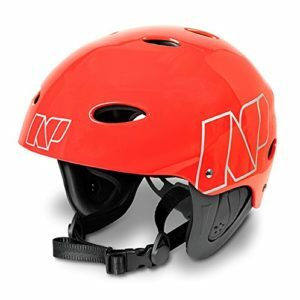 The Havoc Livery from NRS is yet another option for best cheap kayak helmet. However, it contains features that make it ideal for whitewater as well as simple kayaking. 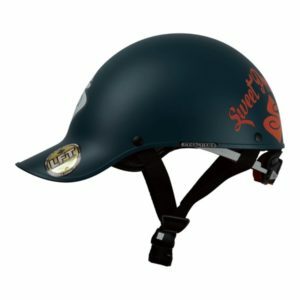 This helmet comes with a custom DialFit System feature for controlled comfort as well as EVA protection liners to protect your head from heavy impact. It is also light and comes with additional comfort fit pads. This helmet is arguably the most popular on this list thanks to its baseball cap design and strong features. It is made from strong materials and considered ideal for classes one to five of whitewater kayaking. It also features the OcciGrip fit system, which makes it a comfortable fit. 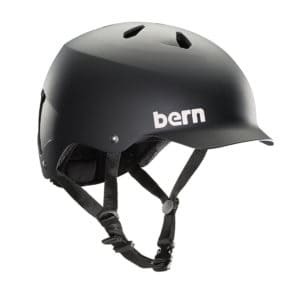 This helmet also has thick padding and a sturdy shell which enhance its comfort and durability respectively. 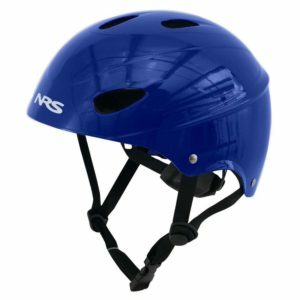 The NRS Current Pro has been vetted by the Whitewater Research and Safety Institute (WRSI) and is also a budget-friendly helmet considering the quality construction. It uses an ABS plastic shell to enhance shock absorption and has a custom-fitted interconnection retention system that helps it stay in place during kayaking. 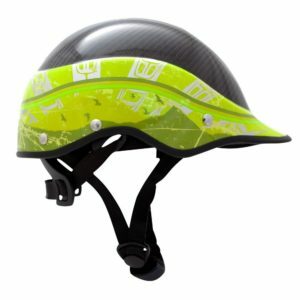 This helmet is also light and is designed to protect your head as well as your face. Sun brim might be too large for some. Fits a little small, size up if you have a larger head. The top ten kayak helmets above should offer a good range of options for any kayaking enthusiast. They’re also great for other activities such as kite surfing or wind boarding – just check the specs to ensure that you’re not missing any crucial safety features. Like we said at the beginning of this article, you should be making your decision based on the quality of the fit as well as durability and comfort when you make your final purchase.